The findings of the Australian Crime Commission’s report, Organised Crime and Drugs in Sport, have attracted a lot of public attention in the last week. In response to widespread misunderstandings, subsequent investigations of teams in the AFL and NRL and criticisms, Vanessa McDermott and I wrote a short piece that addresses some of the issues not being raised in most of the media coverage. 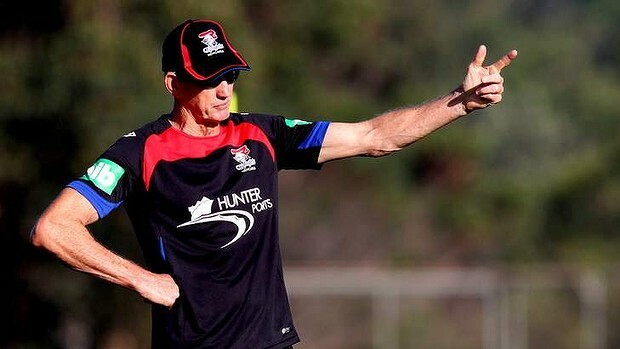 Many people were disappointed by the Australian Crime Commission’s claims that drug use in Australian sport is ”widespread”, among them National Rugby League All Stars coach Wayne Bennett. His critical words were not so much about athletes or sports scientists, but about the Australian Sports Anti-Doping Agency. Casting doubt on the agency’s approach to anti-doping efforts, Bennett asked: ”If we’ve got the drug problems we’ve had, what’s the drug agency been doing? He has a good point. The NRL spends about $500,000 per year (not including the costs of in-house testing by clubs). If rates of drug use are as the ACC report suggests, ASADA is part of the problem. Rigorous testing, athlete whereabouts requirements and harsh sanctions have failed to prevent what the ACC report depicts as extensive drug use across sports. The report also states that illegal drug use creates opportunities for criminal groups, including match-fixing and fraud, and has filtered down to the sub-elite levels of state and club competition. Although the ACC remains tight-lipped on specifics regarding prevalence rates and the nature of its evidence, there are calls to get ”tougher” on doping. Six NRL clubs, including the Canberra Raiders, are under investigation, blood testing will reportedly increase in the league and there are talks of developing a biological passport system. There are also calls to widen the regulatory net to include coaches, sports scientists, support staff, complicit medical practitioners and anti-ageing clinics. Legislation before Federal Parliament would expand ASADA’s investigative powers, bringing support personnel and athletes’ family members under its disciplinary gaze. But will these efforts clean up Australian sport? Are there unintended consequences of focusing on testing, surveillance and sanctions? Increasingly sophisticated testing and monitoring have encouraged markets for doping products that are difficult to detect, making them more dangerous. Even if these risks are the ”just deserts” of cheating, do we want future generations of athletes to be exposed to increased dangers? Prohibitions and punishments won’t stop experimentation, especially given the incentives and pressures to excel in sport. They may have some deterrent effect, but they also push these practices further underground. Further, anti-doping messages continue to focus on the threat that drugs present to the integrity of sport and to ideas around fair play, respect, responsibility and safety – all of which are supported by the Australian Sport Commission’s Essence of Australian Sport statement. These may be core values, but they fail to provide a robust framework to address drug use in professional sport and potential trickle-down effects. The ineffectiveness of current strategies is perhaps most evident to athletes who have received drug education. On the one hand, these modules reiterate fair play. On the other, they are often laden with threats about the consequences of getting caught and exaggerations of the dangers associated with recreational illicit drug use. These are not only conflicted and unrealistic messages, but they also emphasise that the responsibility for avoiding illegal substances rests squarely on athletes’ shoulders. These simple messages negate the complexities of professional sport, which the ACC report acknowledges as a commercial enterprise with a brand and image to protect. Professional sport is a business, and it should be regulated accordingly. It entails a range of workplaces with their own unique intricacies and occupational risks. Just as codes of conduct are important, so too are health and safety. Workplace concerns need to be contextually considered. Like employees in other industries, athletes manage a variety of demands, including whether or not they can keep their position, maintaining the necessary skills to perform their job and supporting themselves and their families. However, rather than address how workplace conditions influence drug use, anti-doping efforts centre on individuals’ responsibility to not use these substances. A recent ABC News Breakfast interview highlighted compelling arguments that supported the use of some banned substances to treat professional athletes’ injuries in ways that benefit their health and enable them to return to competition. In contrast, prohibition and zero tolerance policies can jeopardise player welfare, and, if links to organised crime are as prevalent as the ACC report suggests, they further expose vulnerable individuals to exploitative power relationships. That said, partnerships between law enforcement and anti-doping authorities can have – and already have had – a productive influence by targeting broader practices of corruption and the syndicates that supply dangerous drugs. Prioritising testing and surveillance alone threatens to target athletes and support staff who are already caught navigating tensions arising from competitive interests and current rules. If sport organisations and government are concerned about the damage drug use presents to Australian sports’ brands, then let’s first be honest about what modern sport is and what it requires of athletes. Rather than punishing individuals for failing to meet an ideal of ”clean” sport that does not exist in practice, let’s reorient regulation to directly address occupational health and safety challenges. This, in turn, enables frank and public discussions about the risks of being a professional athlete, while also addressing the responsibilities of organisations to mediate them. These discussions should not concentrate on drug use and the possible criminal exploitation they foster. Instead, they should be about developing more holistic approaches towards athletes’ health and welfare, which encompass a range of issues underpinned by competitive pressures. Professional athletes may play starring roles in the spectacles consumed by fans, but a cruel reality accompanies the spotlight: They are also commodities in the business of sport. Instead of holding them to unforgiving standards, regulation needs to recognise that they – like the rest of us – are just human. Dr Kate Henne is a research fellow at the Regulatory Institutions Network at the Australian National University. Dr Vanessa McDermott is a lecturer in sociology in the faculty of business government and law at the University of Canberra.